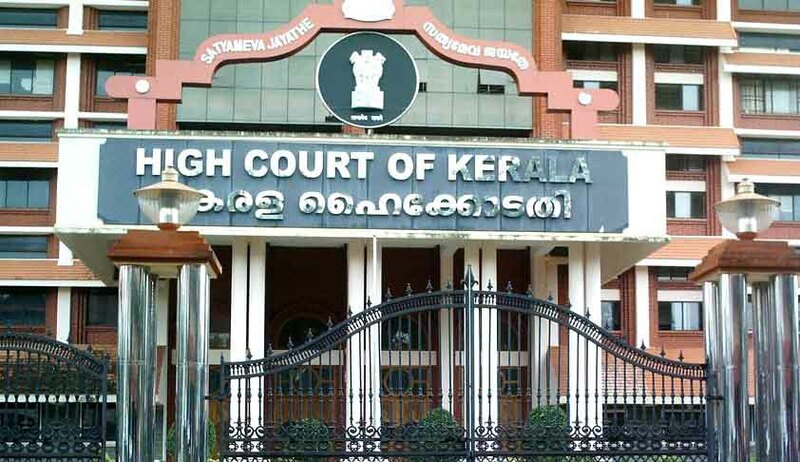 A complaint has been filed before the Kerala High Court Advocates Association(KHCAA) seeking disciplinary action against those lawyers who had physically obstructed the passing of resolution of KHCAA tabled by Advocates Manu Sebastian & Legith condemning the conduct of lawyers in Patiala Court House incident. 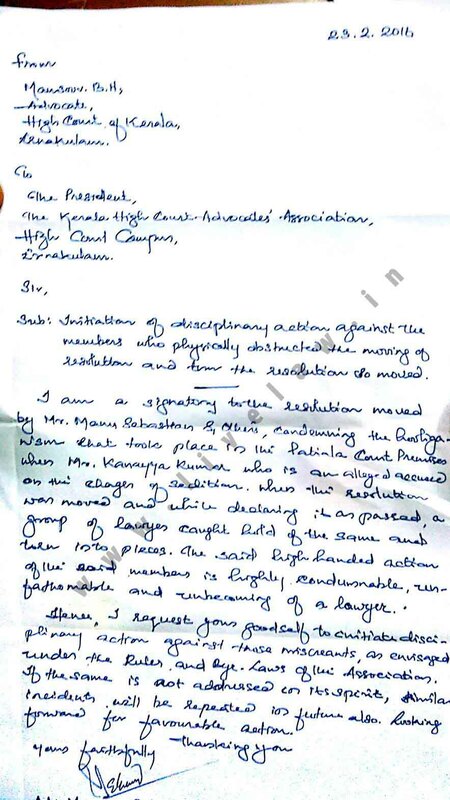 In the complaint addressed to the President of KHCAA, Mr B.H. Mansoor a signatory to the resolution has sought initiation of disciplinary action against those lawyers who had physically obstructed the passing of resolution condemning the Patiala court house incident and later torn the resolution so passed into pieces. In his complaint Mr B.H Mansoor stated as follows “The said high handed action of the said members is highly condemnable ,unfathomable and unbecoming of a lawyer”. The complaint hence sought the association to take appropriate disciplinary action against those miscreants as per the Rules and Bye laws of the Association.